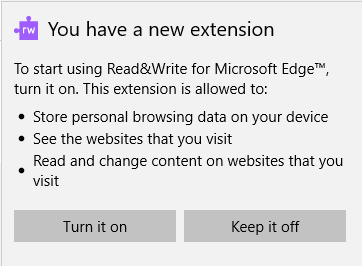 Read&Write for Edge can be installed from the Windows Store. Click the blue "Get" button to install. Once installed you'll see a pop-up message in Edge that you have a new extension - click "Turn it on" to start using.